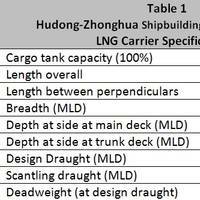 ABS has granted Approval in Principle (AIP) for the LNG Jumbo, a new 175,000 CBM liquefied natural gas (LNG) carrier design from Chinese shipbuilder Jiangnan Shipyard (Group) Co.The efficient, environmentally friendly design features the GTT MK III Flex Cargo Containment System developed in cooperation with ship designer MARIC.The LNG Jumbo design specifies a WINGD X-DF low-pressure, low-speed two-stroke dual-fuel main engine propulsion system promising enhanced propulsion efficiency and reduced fuel consumption, combined with additional energy saving devices. 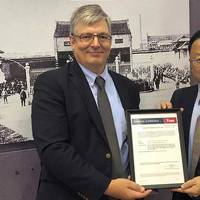 The maritime industry has taken a step closer toward ballast free shipping with the award of a new approval in principle (AiP) at Marintec China on Tuesday. 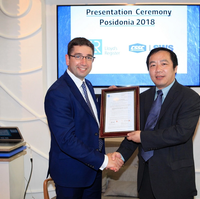 GTT and Dalian Shipbuilding Industry Co. Ltd (DSIC) received AiP from Lloyd’s Register (LR) for their ballast-free shipping solution, a 30,000m³ B-FREE liquefied natural gas (LNG) carrier design, which the developers say could combine environmentally-friendly features, increased efficiency and lower build and operating costs. 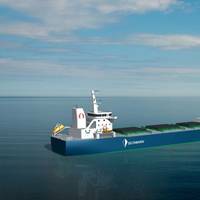 “While we are still in the initial stage of the project and the design is subject to ongoing change, the initial results are indicating that we will meet our goal of having a ballast-free ship that is equal to, or better than existing conventional designs,” said Ma Yingbin, Vice Chief Engineer, DSIC. Navibulgar has contracted 4+2 Bluetech 45 handymax bulk carriers from Yangzijiang. The Bluetech 45 design is based on the successful Bluetech 42 design. 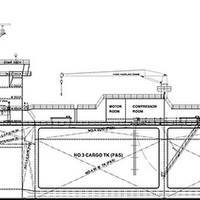 The ship will have a length of 190 m, maximum draught of 10.8 m, a dwt of 45 000 tons, a large hold volume for its class and an ice class 1C. 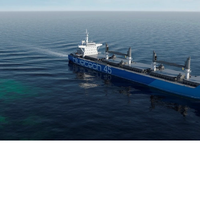 Bluetech bulk carrier designs have the largest hold volume and deadweight and lowest fuel consumption in their class, making them the most eco-friendly on the market. 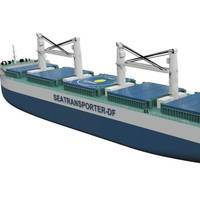 The designs are marketed worldwide by Clarksons Platou Shipbroking. 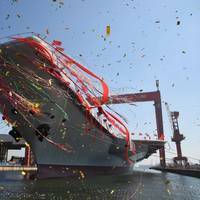 China launched its first domestically built aircraft carrier on Wednesday amid rising tension over North Korea and worries about Beijing's assertiveness in the South China Sea. State media has quoted military experts as saying the carrier, China's second and built in the northeastern port of Dalian, is not expected to enter service until 2020, once it has been kitted out and armed. Foreign military analysts and Chinese media have for months published satellite images, photographs and news stories about the second carrier's development. 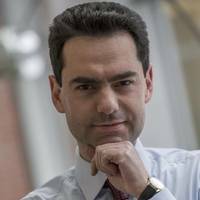 China confirmed its existence in late 2015. 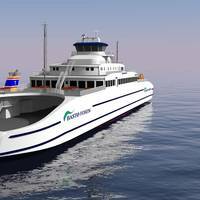 ABS has granted Approval in Principle (AIP) for the Seatransporter-DF, a dual-fuel design concept developed by Algoship Designers Ltd. of Nassau, Bahamas. 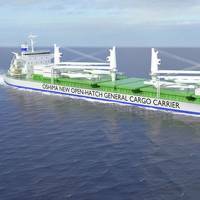 The design has the capability to accommodate multiple engine types as well as Type-C or membrane containment systems for liquefied natural gas (LNG) fuel. 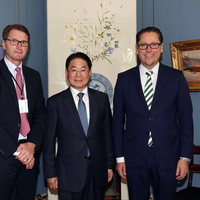 “Technically innovative designs that advance the use of LNG as fuel will play an increasingly important role in the marine sector, and ABS is working alongside industry to enable this critical technological advancement,” said ABS Executive Vice President for Global Marine, Dr. Kirsi Tikka. 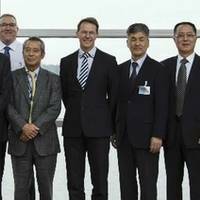 GE’s Marine Solutions and Hudong-Zhonghua Shipbuilding (Group) Co., Ltd. (HZ) have received Approval in Principle (AIP) from the America Bureau of Shipping (ABS) for a jointly developed liquefied natural gas (LNG) carrier design to be powered by GE’s Combined Gas Turbine Electric and Steam (COGES) system. 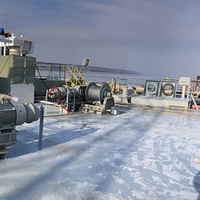 “We are delighted to work with Hudong-Zhonghua Shipbuilding on this 178,000 cubic-meter LNG carrier design that will use our efficient, reliable and dual-fuel marine gas turbine,” said GE’s Brien Bolsinger, Vice President, Marine Operations. 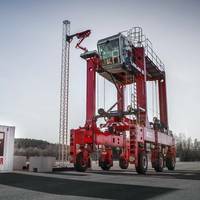 Kalmar, part of Cargotec, announced today that it will expand the FastCharge technology into its hybrid straddle and shuttle carrier product portfolio. The new Kalmar FastCharge Hybrid Straddle Carrier will be the first of its kind on the market, and it is especially targeted for existing straddle carrier terminals not able to utilise fully electric powered solution for various reasons. 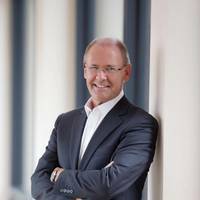 "By combining FastCharge and hybrid technologies, we are making the electric powered solution accessible for more terminals and therefore helping them to cut down emission levels significantly", says Dr.